Dr. Michael Savage, (born Michael Alan Weiner, March 31, 1942) is a conservative talk show host. Savage opposes statism, unlimited immigration and Islamic fundamentalism. He defends America’s national sovereignty and distinct cultural identity. In short, he is a nationalist who champions blood-and-soil conservatism. 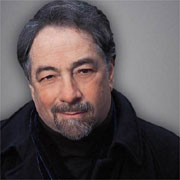 Savage is the author of 19 books, including four New York Times Best Sellers: The Political Zoo, Liberalism is a Mental Disorder, The Savage Nation and The Enemy Within. His most recent book is Stop Mass Hysteria, which exposes hatred as the root of mass hysteria. Many of his books have been on botany and Nutritional Ethnomedicine. He holds doctorates in both economics and botany which he received from the University of California, Berkeley. Savage is generally known to be more outspoken, or more direct, than other conservative commentators. Some view this as his way of driving home points to liberals, who he seems to view as cynical. Other conservatives are strongly against such methods. However, many do find them to be effective and count themselves as fans of his show, which was named by Talkers Magazine as the third most influential talk show in America. In March 2004, he began a televised version of The Savage Nation on MSNBC, but was let go after telling a prank caller who identified himself as a, "sodomite," in Savage's words, to, "get AIDS and die." Savage explained that he was making a personal insult to a prank caller, who he considered to be harassing him, not to all gays. This is consistent with his treatment of other prank callers. In 2007, he won the Freedom of Speech award from Talkers Magazine, a talk radio trade industry publication. His nationally syndicated radio show is called, Savage Nation. In the early weeks of June 2007, Savage spent almost every minute of his show lambasting George W. Bush's proposed immigration reform bill. Savage takes credit for the defeat of the bill. He has also been credited with coining the terms, "compassionate conservative," and, "Islamo-fascist," which have gained wider usage in other circles. During the introduction and for the bumper music on his radio program, Savage often uses music by the heavy metal bands Metallica and Rammstein. Unlike most national conservatives, Savage strongly opposes Donald Trump's tariff policy. He considers tariffs to be little different than punitive sanctions, and claims that Trump's tariffs are part of a neoconservative conspiracy to incite not a trade war, but a shooting war with the target countries. This is a reversal of a previous position where he endorsed a 20% tariff on Chinese products as part of a manifesto to save America. After years of criticizing hatemongers (for their hateful hatred of scapegoats and/or opponents), Savage published a book called Stop Mass Hysteria,  which exposes hatred as the root of mass hysteria. The book spans American history, giving dozens of examples of "hysterical" hate movements. "How can a nation put me on a list and leave hate preachers in England who say that we're going to kill all of you? We're going to convert all of you to Islam. How is it possible that those hate preachers can't be deported from Britain, but I can be banned from Britain? People who advocate actual murder cannot be deported from Britain. How is it that liberalism has gotten so distorted and cowardly?" Knowing that his written and recorded record has never included such urgings, Savage responded by suing several Britons, including Home Secretary Jacqui Smith, the individual who "redefined" terrorism in Britain, and was responsible for putting Savage's name on the list. She resigned her ministerial position soon thereafter and went on to lose her Parliamentary seat a year later, although this was largely due to her involvement in the Common Expenses Scandal rather than Savage's actions. Savage wrote an account of the ordeal, Banned in Britain, and as of May 2011 he is still on the list. Michael Savage like Mark Levin is also known for his use of humorous and derogatory ways of describing names and organizations. Meghan McCain The Whiny Chick, Pill Jr.
↑ Monday, June 25, 2007, "The Savage Nation," 750 KPRC (Houston). ↑ THE PARADOX OF TURKEY – Have the Neocons under John Bolton seized America’s foreign policy for the worse? This page has been accessed 44,304 times.